Composting is a simple way to add nutrients to your garden soil, increasing the health and productivity of your plants while reducing household and garden waste. Whether you create your own compost, borrow it from a neighbor or buy it from a local nursery, keep in mind that not all compost is created equal. The best compost is a mix of carbon-rich "brown" materials and nitrogen-rich "green" materials. One way to differentiate between the two is to remember that fresh, juicy matter --- such as grass and kitchen scraps --- is considered green. 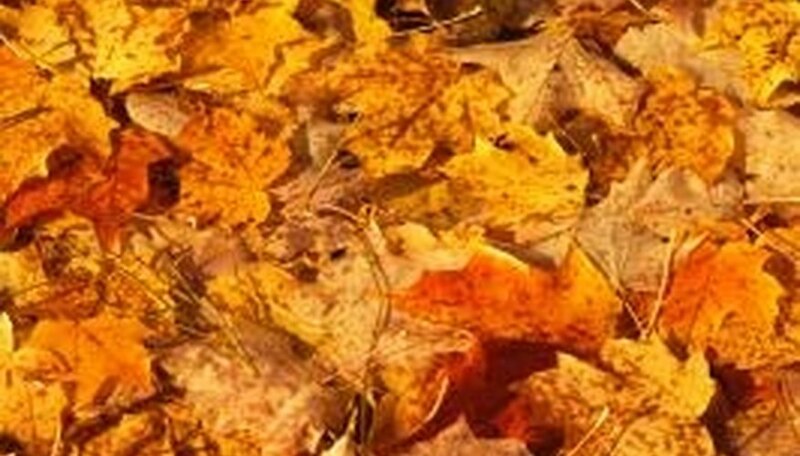 Dry, older, woodier plant and vegetable matter, such as leaves and hay, is considered brown. The ideal compost mix contains substantially more brown than green matter. Brown composting materials are easy to find around most backyards. Dry leaves, hay and straw, and dry plant debris from last season's garden are good sources of brown composting material. Shredding dry leaves before adding them to the compost pile promotes air circulation and helps the material break down faster. Egg shells add calcium to the compost pile, but should be crushed to speed decomposition. Newspaper, paper towels and tissue are good composting materials, but glossy paper is not. Some brown materials are slow to decompose and poor choices for the compost pile. These include cardboard, pine cones and needles, sawdust, nut shells, corn cobs and stalks, and diseased plant waste. 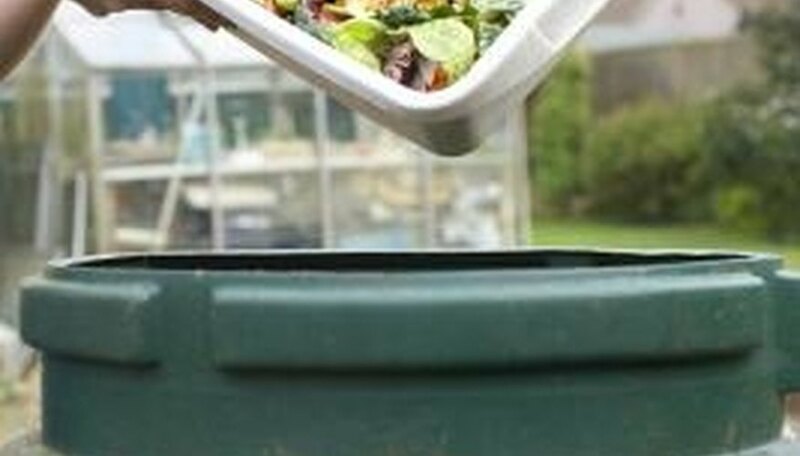 Grass clippings and kitchen scraps are common sources of green composting material. 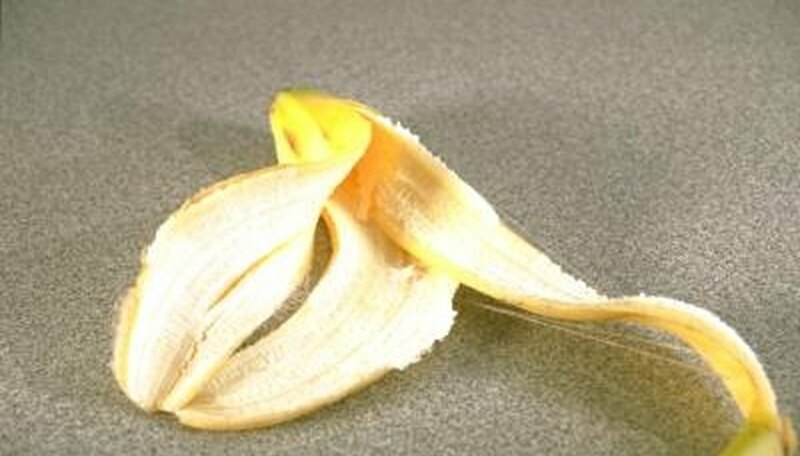 Apple cores, banana peels, melon rinds, carrot peelings, salad scraps --- all vegetable and fruit leavings --- are green materials that add nitrogen to your compost pile. Manure from vegetarian animals, including bats, sheep, ducks, pigs, goats, cows and pigeons, contains abundant nitrogen, but should be allowed to age before spreading on a garden. Coffee grinds are high in nitrogen, too. They can be added to the compost pile or spread directly in the garden. 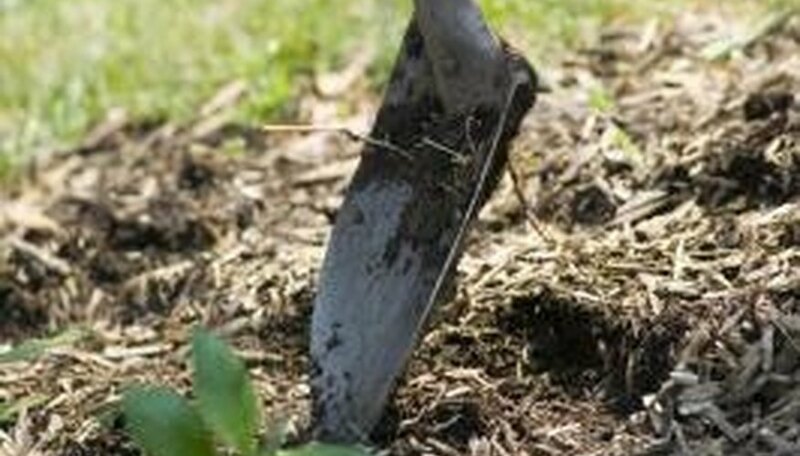 Gardeners who live close to the ocean have access to an excellent composting material. Seaweed is high in nitrogen, but it's best to rinse the plant of its salt before adding it to the compost pile. Making your own compost a simple process, but it does require planning and ongoing care. Start by setting up a composting bin. Add "green" kitchen and yard waste to the bin. Mix in "brown" yard waste. Then, spread soil or existing compost over the pile to keep the compost from drying out and speed decomposition. Keep the compost pile damp, but not wet, adding dry materials to a soggy pile and water to a dry pile. Mix your compost pile about once a week, and it will be ready to use in one to two months. If you don't mix it, the compost will take six to 12 months to ripen. The compost is ready to use when it looks dark and rich and gives off a sweet, earthy odor. Can I Put Avocado Pits in My Compost Pile?